The winter months are still in full swing, and by February you might even have forgotten what the sun looks like! The cold snap has lasted an eternity and your long suffering extremities are begging for a break. Summer is a far-off dream, but you're ready to swap snow boots for flip flops now! Don't worry, the sizzling sands of the Caribbean are calling. Recharge under beautiful blue skies, enjoying average temperatures of 26°C. A jealously-inducing golden glow and healthy dose of Vitamin D is just a plane ride away. If you're wondering where's hot in February, look no further than the idyllic islands of Antigua and Barbados. One of the most famous islands in the world, it may seem that Barbados needs no introduction. Renowned for its beautiful beaches, you'll soon see that even they spring a surprise or two. A vibrant and sophisticated retreat, paradise and Barbados go together like rum and cocktails. The Atlantic coast is legendary among surfers, while the west is littered with glittered stretches. The interior is all about open, rolling countryside and the sweet scents of tropical gardens. Beat the winter blues with daily highs of 29°C. Although the island's warmth isn't just thanks to the wonderful weather, with some of the friendliest locals in the Caribbean, Bajans are easy-going and fun-loving. February and Barbados are a match made in holiday heaven. Blessed with beaches that would convert self-confessed sand scoffers, there's plenty to choose from for every type of beach-goer. Mullins Bay and Gibbes Bay are just a stone's throw away from one another, although Gibbes is the much quieter of the two. Calm seas and gently sloping shores make for prime paddling conditions. The pristine sand arc at Gibbes is the perfect place for pin-drop peace and quiet, not to mention you can ogle the millionaire mansions of the rich and famous that line the beach. Crane Beach is arguably one of the most stunning on the island, with pink tinged sands, luscious palms and limestone cliffs. It sits on the exposed south east coast, with the glamorous Crane Resort set back from its shores. The wild waves here make it a real treat for surfers too! 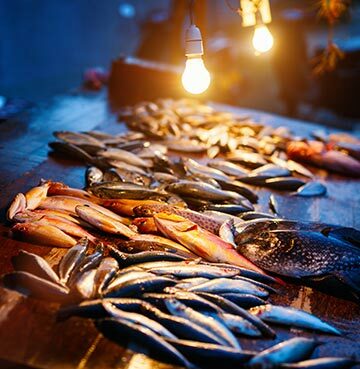 The fishing town of Oistins is a must-see! Friday's Fish Fry is a weekly event held at the Bay Gardens and is a great way to mingle with the local community. Every type of fish imaginable (plus a healthy dose of chicken) is barbecued to perfection and served up by street vendors. Plenty of rustic seating is on hand while you devour your spoils and enjoy the eclectic sounds of calypso, reggae, soca, pop and country music. The perfect recipe for an unforgettable Friday night! Foodies will have a field day in Barbados with endless culinary creations to choose from. Tempt your taste buds with traditional Bajan recipes, or treat yourself to a luxurious evening of fine dining. International influences meet Caribbean flavours to serve up diverse dishes. The only limit is your own appetite! Marinated meats paired with spices and sauces and slow-cooked over open fires are a speciality of the island. Vegetarians are well catered for too – with a wealth of fresh produce waiting to be whipped up into mouth-watering meals! 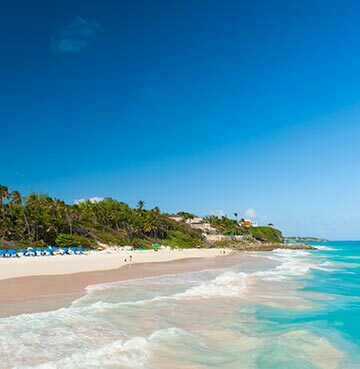 The beach is just the beginning when it comes to things to do in Barbados. In fact, there's so much on offer we've had to whittle it down to a few of our favourites. If diving and snorkelling aren't really for you (or you have young children), opt for a thrilling underwater voyage on an Atlantis Submarine. The craft dives deep to the ocean bed and journeys over a colourful coral reef and its fishy residents. 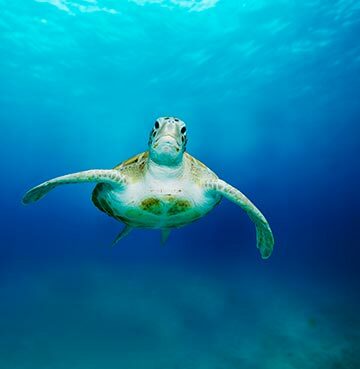 A great way to see the world beneath the waves without even getting wet! For a spot of culture and history, head to St. Nicholas Abbey. One of the oldest Jacobean plantation houses in the entire Caribbean, the property is an architectural gemstone. Nestled in the hills of St. Peter there are over 400 acres of sugar cane fields, lush tropical gullies, mahogany forests and formal gardens to gallivant around. Take a rum distillery tour and enjoy a tipple or two, or if you're visiting during the sugar harvest taste some fresh sugar cane (or do both – holidays are all about indulgence after all). You may not be able to reach the elevated heights of mountainous neighbouring Caribbean islands, but you can most certainly go low. Harrison's Cave is a gorgeous geological display of crystallised limestone. A treasure trove of gorges, streams and waterfalls, with walls and ceilings encrusted with spectacular stalactites and stalagmites. Journey through the cave on an electric tram ride and take in the unbelievable sights and sounds of this fascinating grotto. Life's a beach in Antigua! Endowed with a bay for every day of the year, seaside lovers will soon find they've hit the motherload. Friendly locals beam with wide smiles, while balmy evenings invite you to slip into a state of rum-induced relaxation. Waters welcome you to wash away those winter blues with toasty temperatures of 26°C. 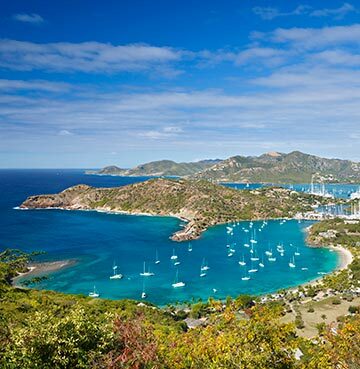 Captivating and peaceful, Antigua is postcard-perfect and deliciously laid-back. Once a British colony, you'll spy English influences everywhere – from cricket pitches to a spot of traditional afternoon tea. 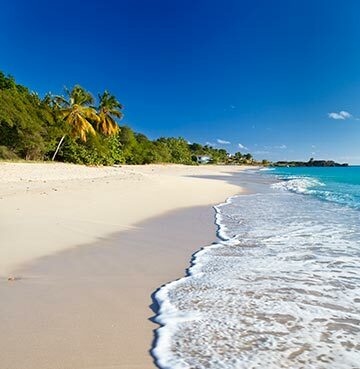 If beaches are your be all and end all, then Antigua is the Caribbean island for you. With 365 stretches of sand to choose from, you're a shoo-in for finding your perfect shoreline set-up. If you're keen to have the place to yourself, head to Half Moon Bay on the Atlantic Coast. A little breezier than other spots on the island – but you'll find the sands are often deserted. On the popular west coast head to Ffyres beach. Powder white-sands and tranquil turquoise waters are a match made in heaven, and on a clear day you might even be able to spy neighbouring Montserrat. The magnificent mile-long stretch at Jolly Beach is framed with palms and enclosed by headlands. Surrounded by coral barrier reefs and shipwrecks, Antigua's waters are a paradise for snorkelling enthusiasts. A rainbow of fish awaits, as well as gentle green turtles, sting ray, barracudas and even nurse sharks! If you can tear yourself away from your towel, you'll soon realise there's more to this quintessentially Caribbean island besides its stunning shoreline. Head to the historical area of Nelson's Dockyard, a UNESCO World Heritage Site, and come face to face with the aforementioned English influences. The 18th Century buildings have been restored to their original splendour, only now they're teeming with mouth-watering restaurants and souvenir shops. Find a spot to sit and swoon over the millionaire's boats and yachts as they bob in the beautiful quayside. Outside the dockyard itself, there are historic forts interconnected with hiking trails. A fantastic way to take in the scenic and natural splendour at your own pace, head over to Shirley Heights for unforgettable views. Stand in awe as you enjoy 360° panoramic vistas over English and Falmouth Harbours. Or better yet, arrive in time for the sunset. You won't be alone though, the gorgeous golden ball disappearing into the horizon is one of the worst kept secrets on the island! After a bit of good old fashioned adventure? Antigua has a few tricks up its sleeve when it comes to thrills and spills. Hold on tight as you zip through the rainforest canopy. Take in the smells, sights and sounds of your luscious surroundings as you speed through the beautiful treetops. Bounce your way down Antigua's back roads on a 4x4 jeep safari – a great way to see a lot of the island in a short space of time! 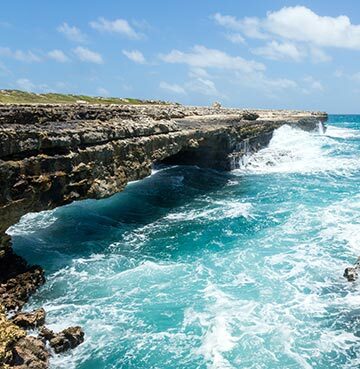 Buckle up for a backcountry adventure through lesser-known landmarks like the Devil's Bridge, Long Bay Beach and Betty's Hope Sugar Plantation. For the perfect blend of leisure and pleasure, head out to sea for some sail and snorkel action. Sit back and relax as you cruise through the calm Caribbean waters before getting up close and personal with the famous Cades Reef. And once you've had your fill of exploration, reclaim that trusty beach towel and get back to the beach!